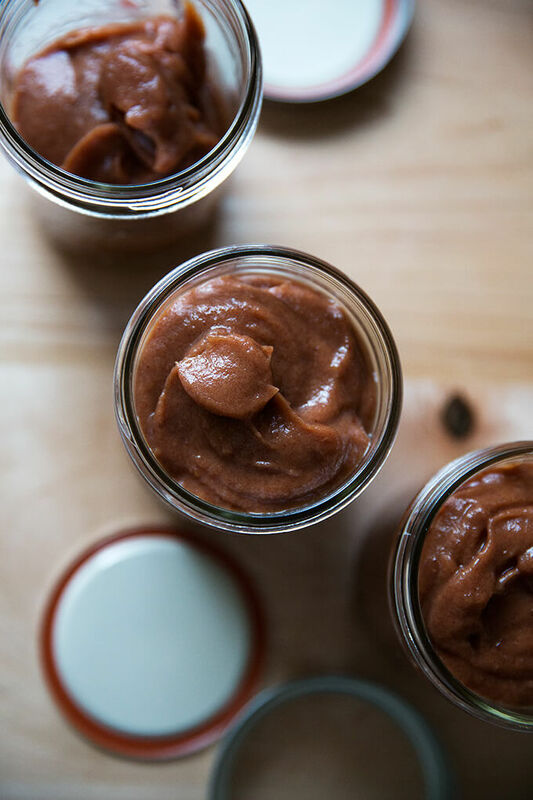 Shortly after Marisa McClellan’s third book, Naturally Sweet Food in Jars, was published, I intended to write about her apple butter recipe, which I had made and loved. I had also intended to post about it last fall, when I made it again, spooned it into jars, processed them, and miraculously found myself with a couple of nice-sized jars to gift as well as a small one to enjoy for myself. I brought one jar with me to Connecticut for the holidays, where it was very well received — we broke it out every morning to spoon into oatmeal or spread across toast and eat with scrambled eggs. It was such a treat to have on hand. 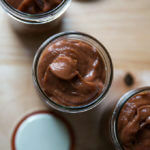 Unlike many fruit butters, this one is sweetened exclusively with dates. It’s one of 100 recipes in Marisa’s book that is sweetened, as you can infer from the title, naturally. As is the case for many canners, Marissa’s preserving journey didn’t begin with natural sweeteners but rather with cups and cups of granulated sugar, which reliably made the jam set and retain its color. When she realized, however, she didn’t feel good about regularly eating all that sugar, she began experimenting with different sweeteners: honey, coconut sugar, maple, agave, fruit juice concentrates and dried fruits. Yes, she was still using sugar, but it was less refined. She soon discovered that the resulting jams, pickles, and fruit butters, despite their softer set and shorter shelf life, were better: tastier, more nuanced in flavor, and more welcome in her regular diet than the white sugar-heavy preserves she had been making for years. 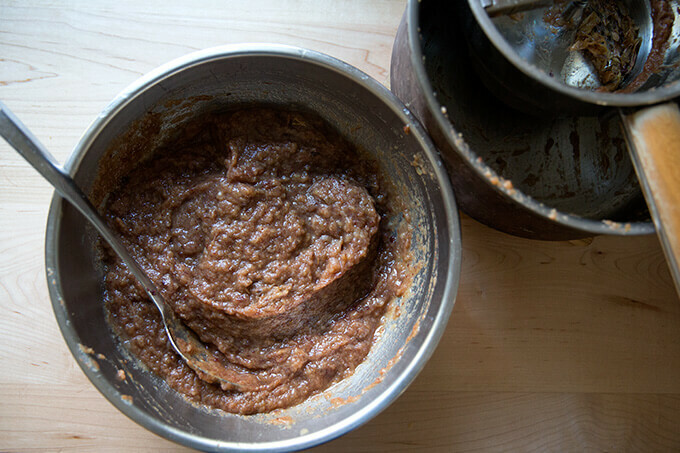 As this is then only apple butter I have ever made, I can’t make any insightful comparison to sugar-sweetened fruit butters, but I can vouch for its deliciousness. 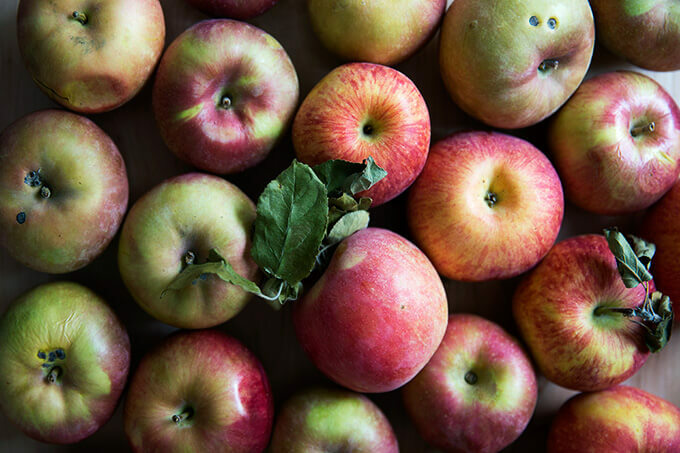 And like the apple chutney, from Marisa’s latest book, this recipe will be relied on heavily next fall when we inevitably will return from the orchard with an ambitious haul of apples in tow. Here’s the play-by-play: Gather 3 lbs. apples. Cut them up, through the core and all. Place them in a pot with some dates and water. 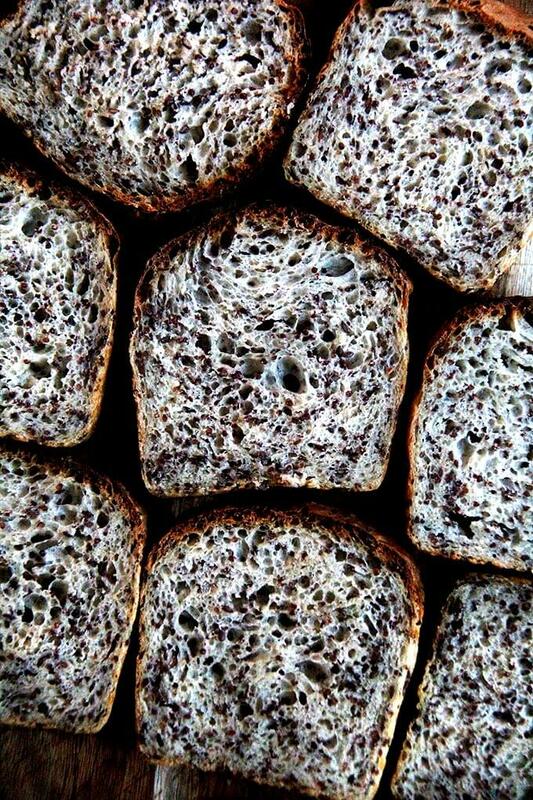 Pass them through a foodmill. 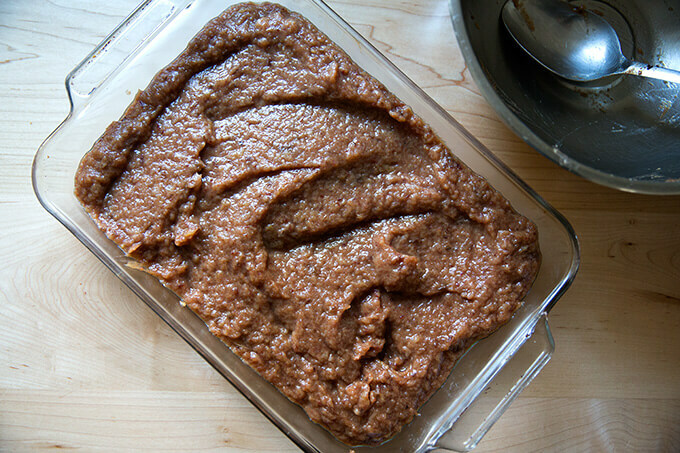 Season the purée with cinnamon, nutmeg, lemon juice, and vinegar. 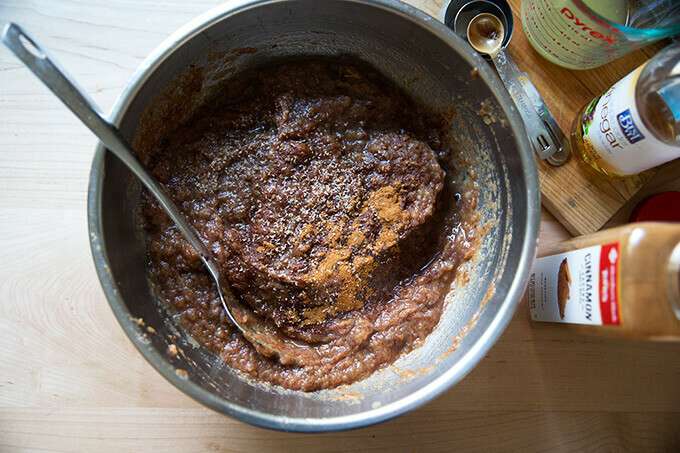 Transfer the mixture to a 9×13-inch pan. Cook for 1.5 to 2 hours. Transfer to jars. Process if you wish. If you’d like more details on sterilizing jars and preparing a water bath for canning, view this post on Food in Jars. 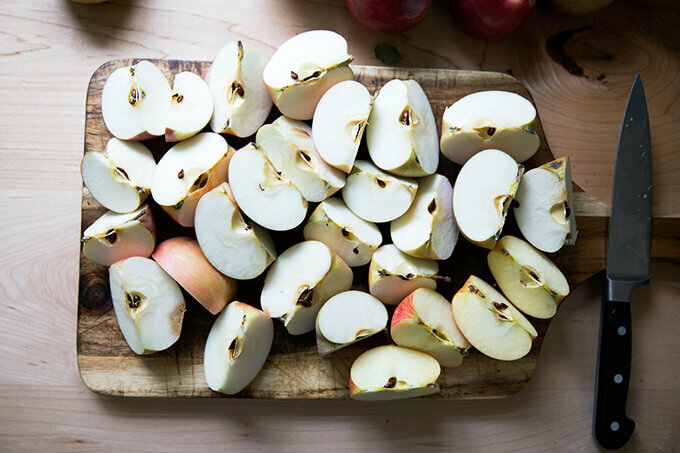 Cut the apples, cores and all, into chunks, and heap them into a large, nonreactive pot with a tight-fitting lid. Add the dates and water. 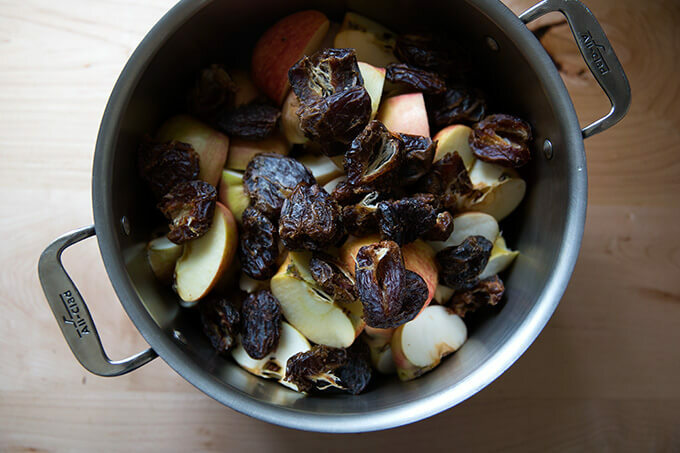 Place over high heat, cover, bring to a boil, then lower the heat to medium and simmer until the apples are tender enough to crush with the back of a wooden spoon, about 20 minutes. 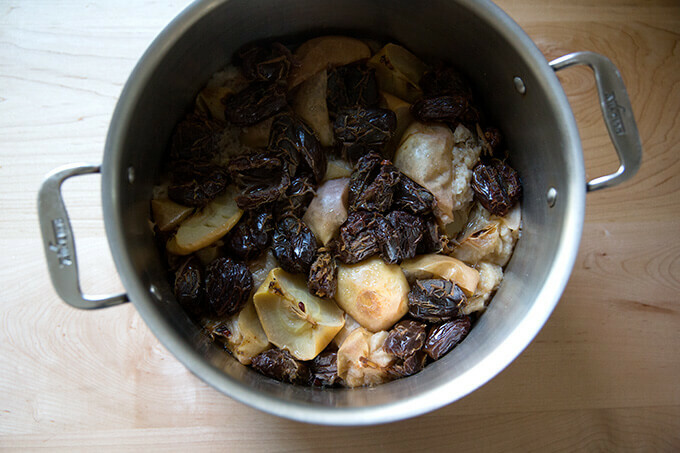 While the fruit cooks, preheat the oven to 300ºF/150ºC. Fit a food mill with its finest screen, position it over a large bowl, and mill the apple mash, along with all the liquid. You’re done when all that’s left in the mill is a pile of seeds and skins. Stir the lemon juice, vinegar, cinnamon, and nutmeg into the apple mash, scrape it into a shallow baking dish, and place in the oven. 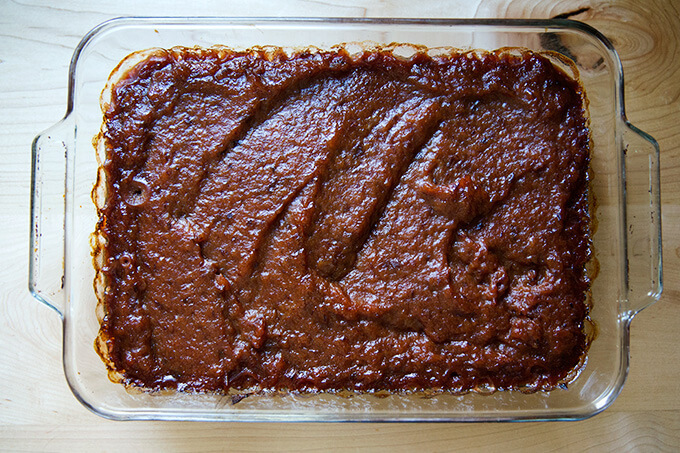 Roast the apple mash for 1.5-2 hours, stirring every 20-30 minutes (or not… I don’t stir). It’s done when you no longer see liquid separating from the fruit. 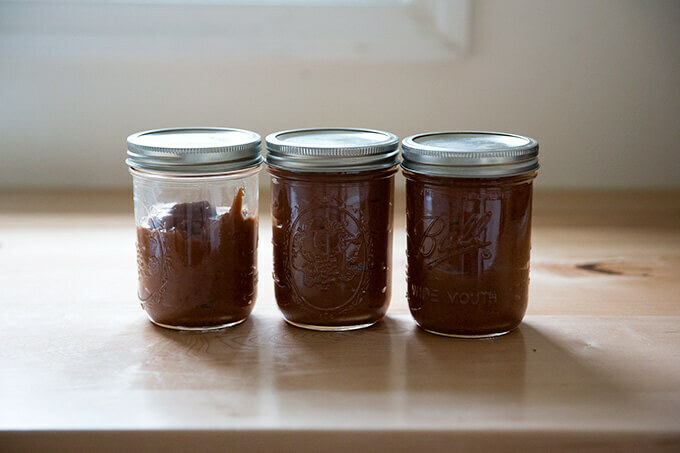 If you wish to can the apple butter, while it bakes, prepare a boiling water bath, and sterilize three half-pint jars. Remove the pan from the oven. 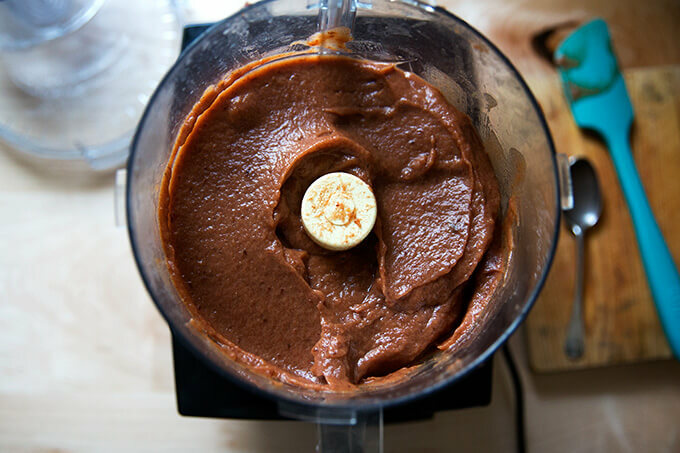 Scrape the butter into a food processor and purée until smooth. Taste. Add a sprinkling of sea salt if you wish. Purée again. Taste and adjust seasoning as necessary with more salt or lemon to taste. Spoon the hot butter into the prepared jars, leaving 1/2 inch (12 mm) of headspace. Use a wooden chopstick to dislodge any trapped air bubbles. Add more butter to return the headspace to 1/2 inch (12 mm), if necessary. Wipe the rims, apply the lids and rings, and process in a boiling water bath for 20 minutes. 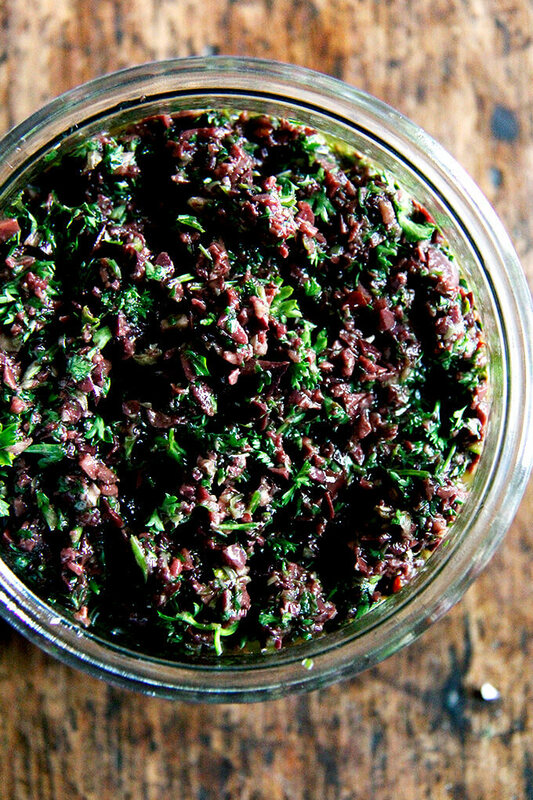 This would be great for Passover! Passover always tastes like apples, cinnamon, and dried fruit in my house! I too was thinking the same, when reading the recipe. I’m giving it a try this year! !